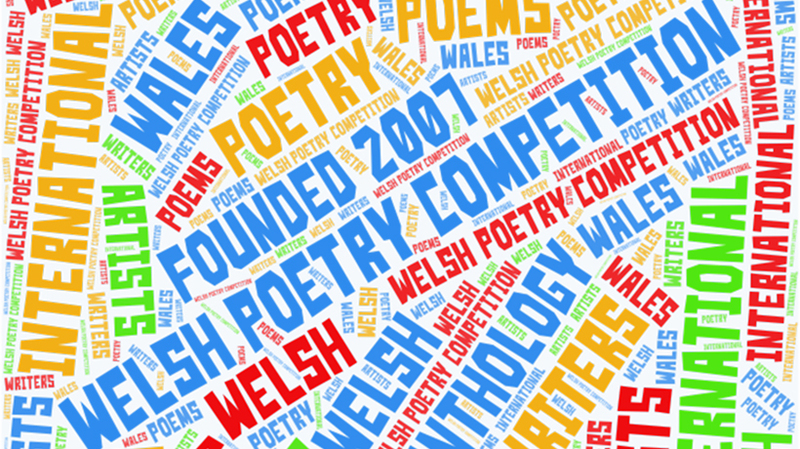 International Welsh Poetry Competition 2019 Live! How many people know that the world-famous International Welsh Poetry Competition began life in a small, independent pub, tucked away down a quiet side street in Pontypridd? Founded by Welsh poet Dave Lewis in 2007 the contest has been run and organized from the town ever since, is now in its thirteenth year and is the biggest poetry competition in Wales! But what makes this competition so special? Some would say the judges, others the sheer quality of the winning entries but one thing is for sure the competition is here to stay. Famous Welsh writer, filmmaker and environmental activist John Evans has played a big part. He judged the first two years and has returned on four other occasions choosing poems with subjects as diverse as ‘the brutality of war’, ‘the plight of captive killer whales’, ‘Munch’s The Scream’ and ‘vegetarianism’. Other judges have included Sally Spedding, twice winner herself and a respected crime novelist. Celebrated children’s writer Eloise Williams and Cardigan-based Bridport Prize winner Kathy Miles can also be counted amongst the competition’s excellent judges. This year, one of Wales’ best poets, Cardiff City fan Mike Jenkins, returns for his second time at the helm. But maybe there is another reason why writers from all over the world love this humble contest that began life as a drunken conversation between Dave Lewis and John Evans in a Clwb Y Bont backroom at one o’clock in the morning, and that is its honesty and integrity. Unlike many competitions your poems are judged anonymously and no filter judges are used. This means a complete beginner can compete against a seasoned veteran. A successful, traditionally published author can fight it out with a newly self-published blogger. “We offer true equality,” says organizer Dave Lewis. “In a time when corporate greed and influence seem to infect every aspect of our lives and ruin the opportunity for the little guy to succeed the Welsh Poetry Competition is a rare beacon of hope,” he continues. The competition organizer, Dave Lewis, shuns the limelight however. A well-respected poet himself he continues to self-publish his often avant-garde work rather than seek acceptance from the mainstream just so he can continue to push the boundaries of his art. He also runs a small self-publishing company, called Publish & Print, where he helps other writers get into book form and realize their own ambitions. 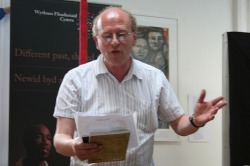 This year’s judge, Mike Jenkins, needs no introduction of course being one of Wales’ top poets, famous for his lively performances and writing workshops. He has performed at the Hay Festival, won an Eric Gregory Award from the Society of Authors and has co-edited Red Poets for 25 years, an annual magazine of left-wing poetry from Wales and beyond. His latest book is ‘From Aberfan t Grenfell’ (Culture Matters) with artist Alan Perry. 1st Prize – £500, 2nd Prize – £250, 3rd Prize – £100, plus 17 runners up published on our website and in a future anthology.